The law relating to sale of goods was originally dealt with by the Indian Contract Act, 1872, prior to 1930. During the year 1930, Sections 76 to 123 of the Contract Act were repealed. A separate Act viz., Sale of Goods Act, 1930 was passed. 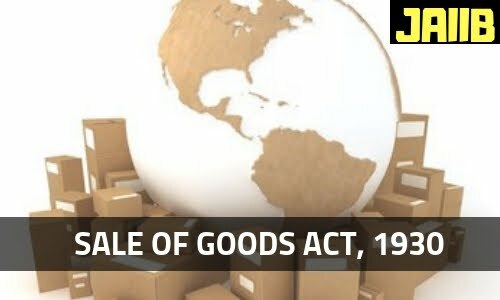 The Sale of Goods Act, 1930 laid down the provisions governing the contract of sales of goods. This act extends to whole of India except the State of Jammu and Kashmir. It came into force on 1st of July, 1930. There must be at least two parties, the seller and the buyer. The subject matter of the contract must necessarily be goods covering only movable property. Goods may be either existing goods, owned or possessed by the seller or future goods. A price in money (not in kind) should be paid or promised. But there is nothing to prevent the consideration from being partly in money and partly in kind. A transfer of property in form goods or title thereof, from seller to the buyer must take place. The contract of sale is made by an offer to buy or sell goods for a price by one party and the acceptance of such offer by other. A contract of sale may be absolute or conditional. All other essential elements of a valid contract must be present in the contract of sale, e.g. competency of parties, legality of object and consideration etc. Sale – Where in a contract of sale, the property in form of goods is transferred from the seller to the buyer, the contract is called a ‘sale’. Note, in sale; the property in goods is transferred from seller to the buyer immediately. Agreement to Sell – Where the transfer of the property in form of goods or title thereof is to take place at some future time or subject to some condition/s thereafter to be fulfilled, the contract is called an agreement to sell. Note, in an agreement to sell; the ownership of goods is not transferred immediately. It is intending to transfer at a future date upon the completion of conditions stated thereon. An agreement to sell automatically becomes sale when, either the time elapses or the conditions are fulfilled subject to which the property in the goods is to be transferred. Condition - Condition is a stipulation, essential/fundamental to main purpose of the contract, the breach of which gives rise to right to buyer to treat the contract as repudiated (Means say no to contract/ Refuse/ Reject). Warranty - Warranty is also a stipulation, but collateral to main purpose of the contract, the breach of which gives rise to claim for damages but not to a right to reject the goods and treat the contract as repudiated at hand of buyer. Note; A stipulation in a contract of sale, can be classified as condition or a warranty depends in each case on the construction (means interpretation) of the contract. A stipulation may be a condition, though called a warranty in the contract. ‘Conditions’ and ‘Warranties’ may be either ‘express’ or ‘implied’. Express are those, which are mutually agreed upon between the parties at the time of contract and are expressly provided in the contract. The implied, on the other hand, are those, which are presumed by law to be present in the contract even if not expressly specified. But it should be noted that an implied condition and warranties, may be waived fully or partially by an express agreement. Lien or right of retention - unpaid seller can keep the goods in his possession and refuse to deliver them to the buyer until the fulfilment or tender of the price. 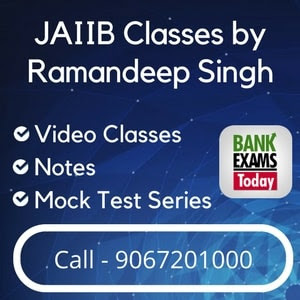 The right of stoppage in transit - while goods are in transit, resuming possession of these goods and retaining possession until payment or tender of the price. Note – If the goods are not delivered yet, all above rights are available to unpaid seller on co-extensive basis. Filing suit for damages for non-acceptance, where the buyer wrongfully refuses to accept and pay for the goods. Suit for repudiation, where buyer repudiates the contract before, date of delivery, the seller may either wait till the date of delivery or may treat the contract as cancelled and sue for damages for breach of terms of contract.